We are applying CRISPR-Cas9 to direct the natural process of genetic exchange that occurs during plant breeding to accelerate crop engineering. 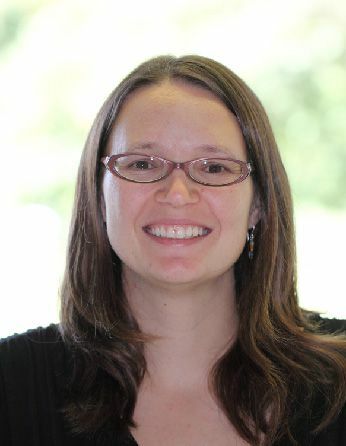 Beth Rowan is a Project Scientist in Michelmore Lab at the University of California, Davis. Our changing climate creates instability that affects both the magnitude and the rate of change in environmental stresses that affect yield and growth of crop plants. Plant breeders rely on the genetic reshuffling that occurs through meiotic recombination to generate new combinations of traits to meet new environmental challenges. However, the crossovers (COs) that swap portions of chromosomes during meiotic recombination occur at different rates along the chromosomes. Thus, traits encoded by genes in highly recombining regions are more easily shuffled around than others. Having the ability to direct COs to specific regions of the genome will make it faster and easier to assemble desirable traits into a single cultivar. We will test how the CRISPR-Cas9 system can be modified and engineered to direct meiotic COs to specific regions of the genome of the model plant Arabidopsis thaliana. We will use a guide RNA to bring Cas9 fused to proteins that we hypothesize will act as CO enhancers to specific regions of the A. thaliana genome, taking advantage of the CO reporter lines available for this model organism. The use of CO reporters allows for rapid, high-throughput scoring of CO events in a target region of the genome. Our strategy is to test 25 candidate CO enhancer proteins for their ability to increase CO frequency in two target regions: one in open euchromatin and one in condensed heterochromatin. We will also test whether introducing stabilizing modifications can provide additional gains. This will improve targeted CO frequency and predictability, and facilitate later application to crop species. In addition to the major outcome of engineering a targeted recombination strategy that can be applied generally in agricultural breeding practices, we expect that the knowledge gained from testing different proteins for their ability to promote localized COs and the role of post-translational modifications will contribute to our (still rather incomplete) understanding of the mechanisms that determine where and when COs occur.